Have you ever wish that someone you loved would suddenly come back into your life? Then try this spell to make someone contact you. Sometimes we lose touch with people we love. It could be do to betrayal. Maybe you lost touch with that special someone because you misunderstood them. Sometimes we need time away from the people we love to realize how important they truly are to us. This spell to make someone contact you should work within three months or three full moon cycles. This spell will require that you have a wiccan altar and that you know how to cast a circle. When I first wrote this spell 9 months ago I did a purification spell on the Sunday before the waxing moon before I did this spell. 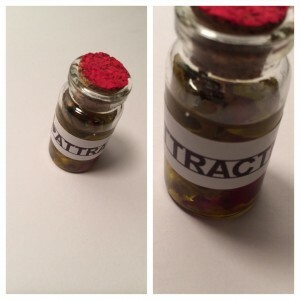 I used this spell to contact an ex friend who moved away and eventually we just lost touch. I randomly met a mutual friend while thrifting and she gave me my friend’s number. This happened within three months of me doing the spell. Start the music…. On the first day of the waxing moon cast your circle. Charge your candles with 2 drops of the star oil and 1 drop of the attraction oil per candle. Place the candles onto your altar in a triangle with the white candle at the top the blue candle at the right and the green candle to the left. Meditate in silence until the words come to you revealing why you and your friend truly fell out of touch and how to regain that friendship.